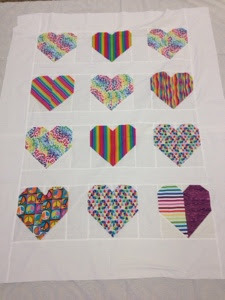 Our Saturday Sew Day was spent putting finished Pulse quilt tops with backing, batting and binding. 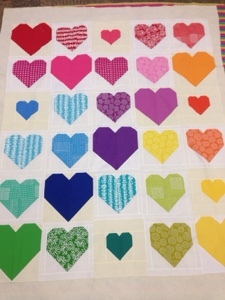 We're making great progress with all the lovely items that quilters have been sending. 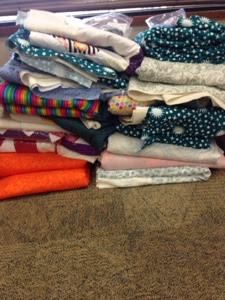 Sandwiched quilts ready for quilting. Thank you Very much. 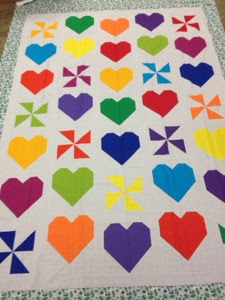 They are beautiful and will be much loved! 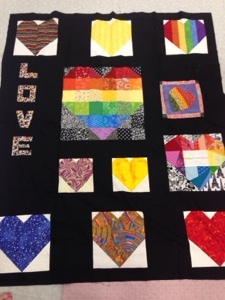 I'm seeing some beautiful Pulse quilts all throughout Blogland. You are doing a wonderful thing. Thank you KaHolly. Although it's a phenomenal task, it feels so good to help. Barbara, I'm not on the BOD, but I'm sure we will be trying to get some photos, and info will be posted about the deliveries. 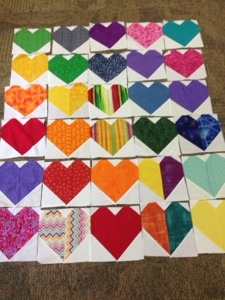 I can't imagine not letting the world know what it felt like to pass on these works of love. 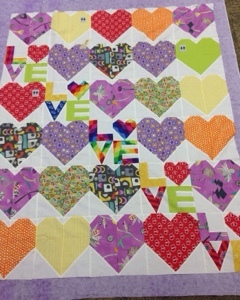 I finished my quilt to send to you today. I hope I'm not too late. 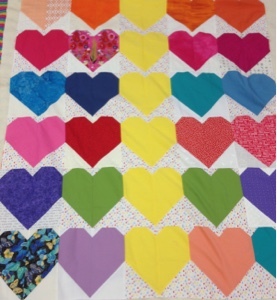 The deadline for finished quilts isn't until Sept 15th, so I'm sure it will be in time. Thank you so much!